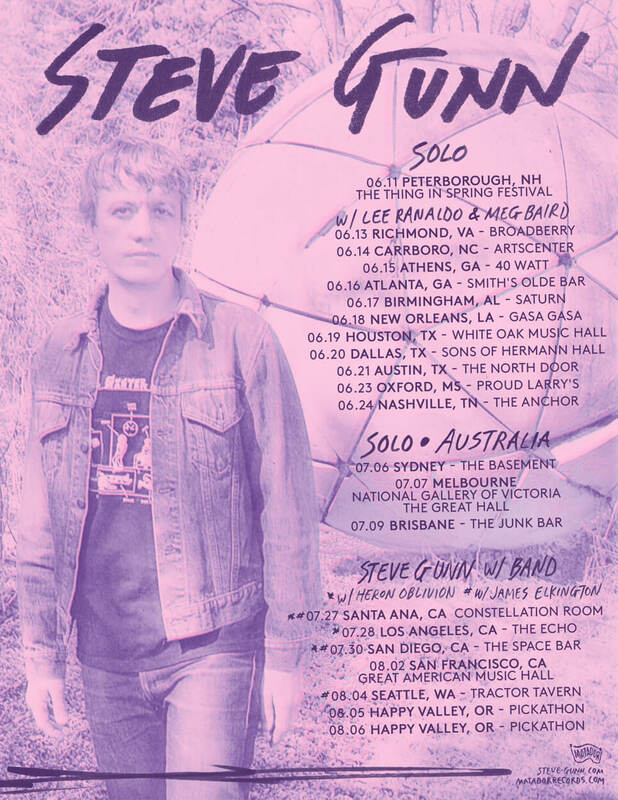 After a rapturously received show Monday night at London’s St. John Church, Steve’s current solo tour of Europe continues this week and is followed by solo U.S. dates in June alongside Lee Ranaldo and Meg Baird, followed by full band dates in Australia in July. Steve’s summer run concludes with west coast band shows with Heron Oblivion and James Elkington. The new dates are in bold.